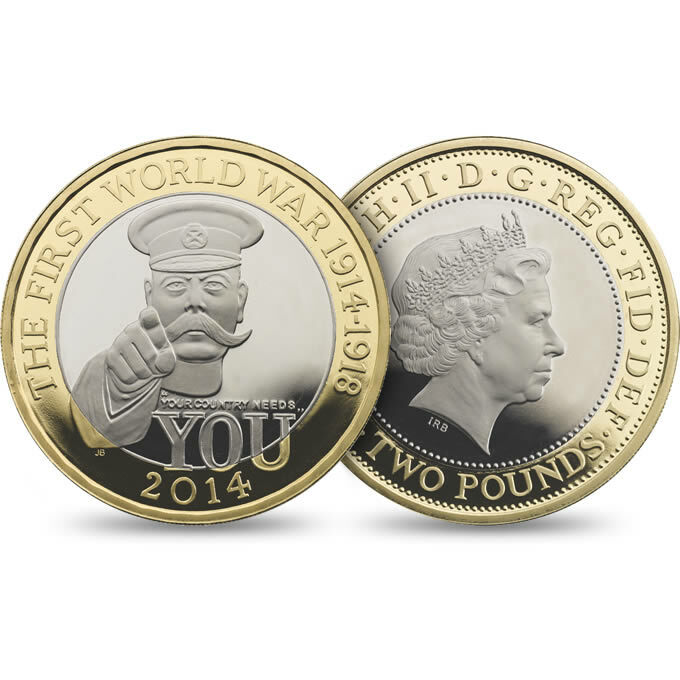 2014 £2 coin commemorating the 100 year anniversary of the start of World War I is one of the coins the British tabloids watch. Since the Bank of England transitioned from the old round pound to the new 12-sided pound coin, the British tabloids have been watching the online auctions, primarily eBay, to sensationalize the price of coins being bought-and-sold by collectors. Most of the coins were circulating commemorative 50 pence, one and two-pound coins ranging from the coin commemorating the end of slavery in England to Peter Rabbit commemorating the work of Beatrix Potter. While searching the internet for numismatic-related news, there is at least one tabloid writing about yet another find and how someone sold it for thousands of pounds on eBay. After tweeting one of those stories, a British collector responded and we had an email conversation about the stories. According to my correspondent, it seems that the tabloids are making more out of the story than necessary. Using the information from my correspondent, I began to watch the eBay UK auction results. Although it is true that some of these coins are selling for hundreds and even thousands of pounds, most of the buyers are not from the UK. According to one eBay seller, most of his buyers were from the Middle East and Southeast Asia. Another seller said that finding one in pocket change, as suggested by the tabloid, is not going to make anyone rich. The coins that are selling at high multiples are uncirculated coins pulled from rolls they purchased from the Royal Mint. Not all of the coins are selling at high prices. One seller said that he sold most of a roll to people from the European Union for a few euros plus shipping. While they are making money, they are not getting rich as suggested by the tabloids. The tabloids have been helpful in raising awareness for some of these coins. In the past, one person said she would buy three or four rolls of the 50 pence coins and would sell them over time. She had rolls at least five years old before it became a topic in the tabloids. Coin roll hunting became instantly popular throughout the UK. Some banks report that there is a higher demand for rolls of 50p coins than usual. The demands coincide with the report of another coin being sold for thousands of pounds on eBay. If there is good news in this, the UK error collectors are finding fresh material. With so many people looking closely at the coins they receive in change and from the bank, more errors are appearing in the collector market. But the increased supply without a similar increase in demand has kept the prices down. Error collectors are afraid that once people realize that this is not a credible get-rich-quick scheme, the number of people looking for errors will diminish.